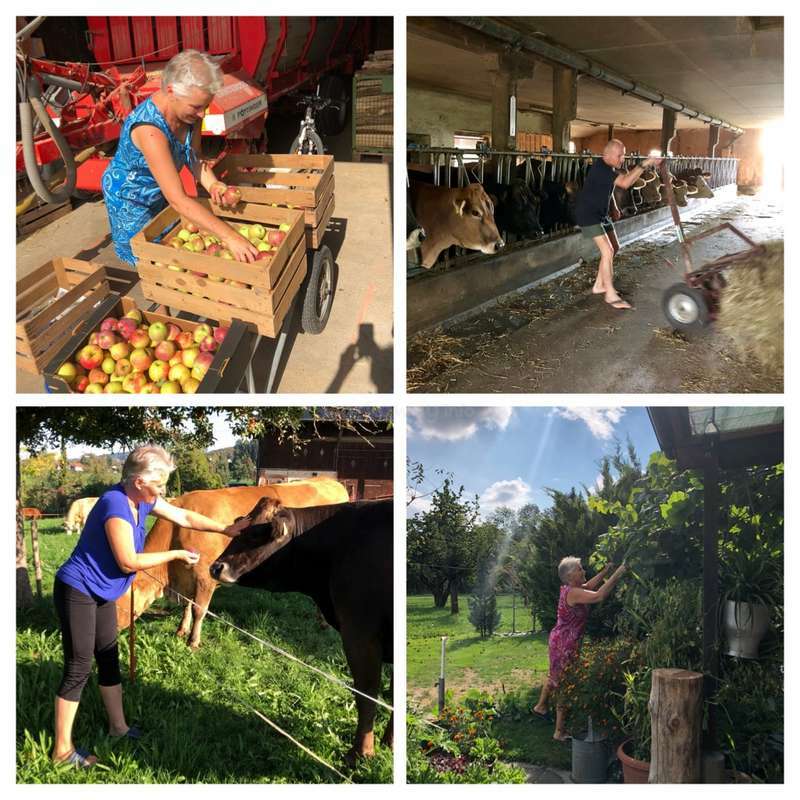 We love to host and meet new people and share experiences at our sustainable farm in Durnten (near Zurich) Switzerland. 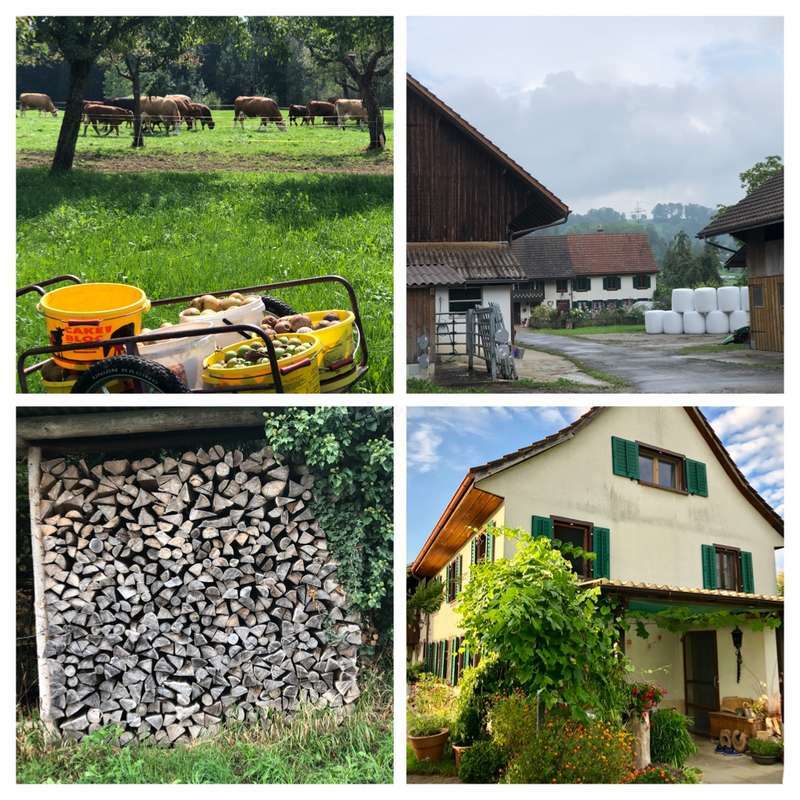 You will learn about typical Swiss farm life and sustainable living. Anna is a passionate gardener and will share with you her knowledge of herbs, veggies, trees and flowers. Markus has been a farmer all his life and he can teach you all you need to know about working with cows and preparing the land such as building fences and preparing firewood. We always need help in the farm. Between now and October, we are busy picking and storing fruits such as berries, apples, plums and pears for the winter. Our cows love to eat apples so we feed them a share of the harvest. At home, you will help us sort and cut fruits and vegetables, weeding, gardening, baking (we like to make our own bread) prepare meals and other normal tasks at home such as cleaning up after meals. Note that work is different all throughout the year and always depends on the season. 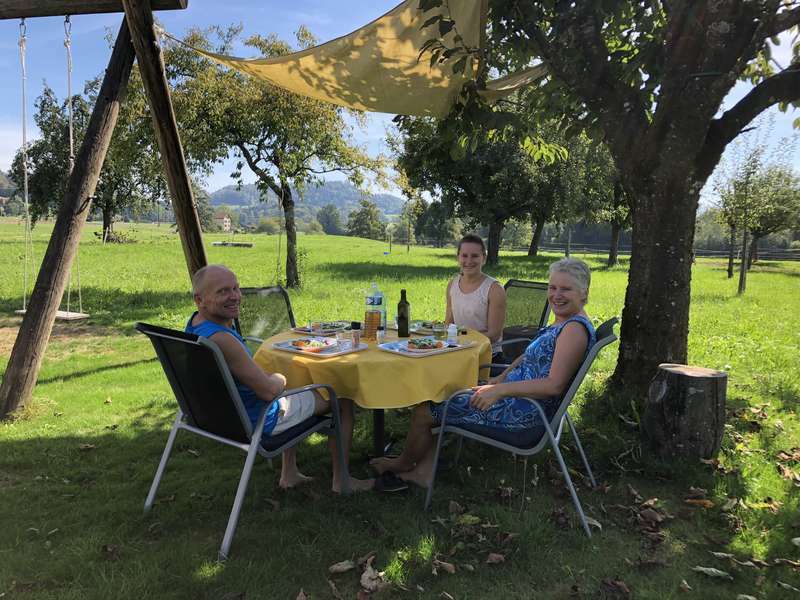 You do not work on weekends so it’s yours to do as you please and of course you also have time in the afternoon and you can sunbathe in our garden (in the summer) go for hikes and walks or take the bus to see the other villages. If we are on our way to town, we will be more than happy to give you a lift so you can spend your time exploring and if our schedules match, we can also pick you up. We are passionate about fresh food and healthy eating so we will mostly eat vegetables and fruits that we grow in the garden or produce from our neighbours such as eggs and fresh milk. We like to know where our food comes from and how they are raised and prepared. We are not vegetarians but if you have certain dietary requirements, you just let me know and we can accommodate. We will provide all meals and we almost always eat together. We have a lovely, bright and spacious bedroom waiting for you. It faces the morning sun so you will be woken up by the sunshine (when the weather is nice) and has a view of the garden. It has a standard double bed with a pull-out bed so it is great for a single Helper, a couple or friends traveling together. There is a bathroom on the first and second level that you will share with us. 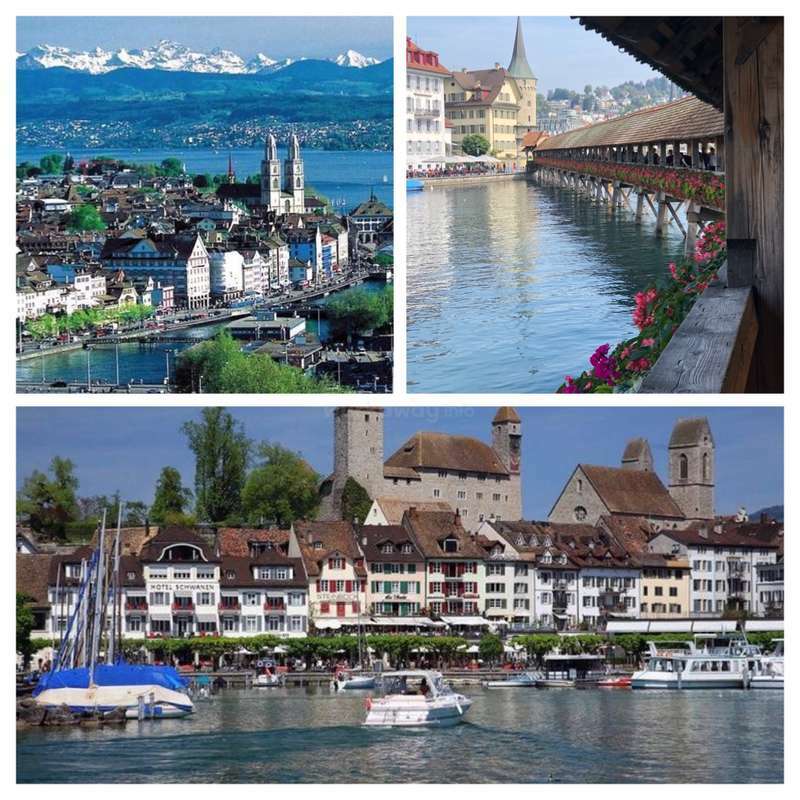 Our farm is only a 30min train or bus ride from Zurich HB (central station) and only an hour to Luzern so you can easily visit these beautiful cities on your time off. There are also quaint and picturesque villages that are a short bus ride away such as Rapperswil (it's not very well-known but we (locals) think it's as pretty, if not prettier than Luzern) and a lot less touristy. There are many hiking and walking trails that offer great views of our village so there's plenty to discover on your free time and we are more than happy to suggest places of interest! I stayed with Anna and Markus in Dürnten for a week and a half at the end of March. They have a family farm raising cattle and a nice garden. There was lots of Spring work to get the garden and farm ready for the season. Some examples: tilling garden plots, starting seeds in the greenhouse, trimming plants, weeding, setting up the electric cow… read more fence. I also helped feed the cows each day and helped a bit in the kitchen. For most tasks, Anna or Markus started with me to demonstrate, and then let me work independently. I really enjoyed the work; it was nice to be outside and I learned a lot about plants and farming. As Anna describes herself, she is very bubbly and grateful. She has overcome a challenging history of illness, and most conversations return to the topic of health and progressive medicine. I was skeptical about some of it, but I also really appreciate being exposed to the importance of proper nutrition and lifestyle and a new view of disease and treatment. 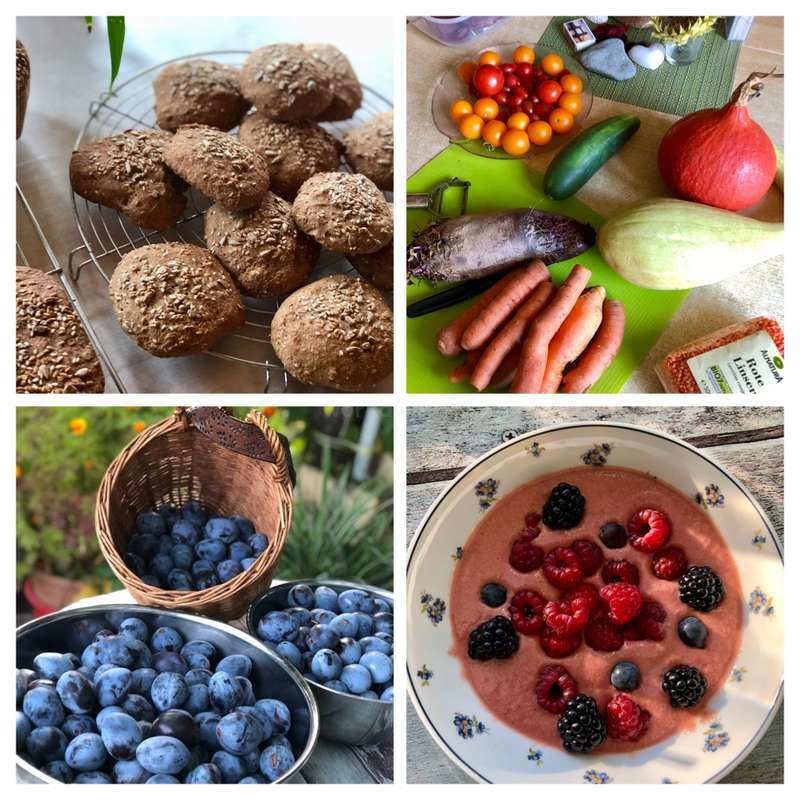 The house diet is healthy and tasty – salads with greens from the garden, green smoothies, home-made yogurt and fruit jams, eggs from the neighbors. You won’t find any processed foods or junk, because these things plague society with health problems! Anna can be a bit finnicky about how things are done, so best to ask first and understand what she has in mind. Markus knows everything about running a farm. He’s not as confident in his English, but communicates perfectly fine. Their son Matthias also came home a few times and it was nice talking with him. The schedule is pretty flexible. I typically worked through the morning and then a tad more in the evening. The weather was wonderful while I was there. After I arrived, we had a pleasant lunch outside and then hiked the local mountain, Bachtel. The area is great for exploring by bike. You can go down to the Lake, Rapperswil, Zurich, and plenty of small villages. There’s also hiking, relaxing in the garden, or playing piano. For anyone who wants to learn more about health, gardening and farming, go stay with Anna and Markus near Lake Zurich! What an energetic, smart and talented young man! Jacob was with us almost 2 weeks and he did so much during his stay. He was basically good at everything! 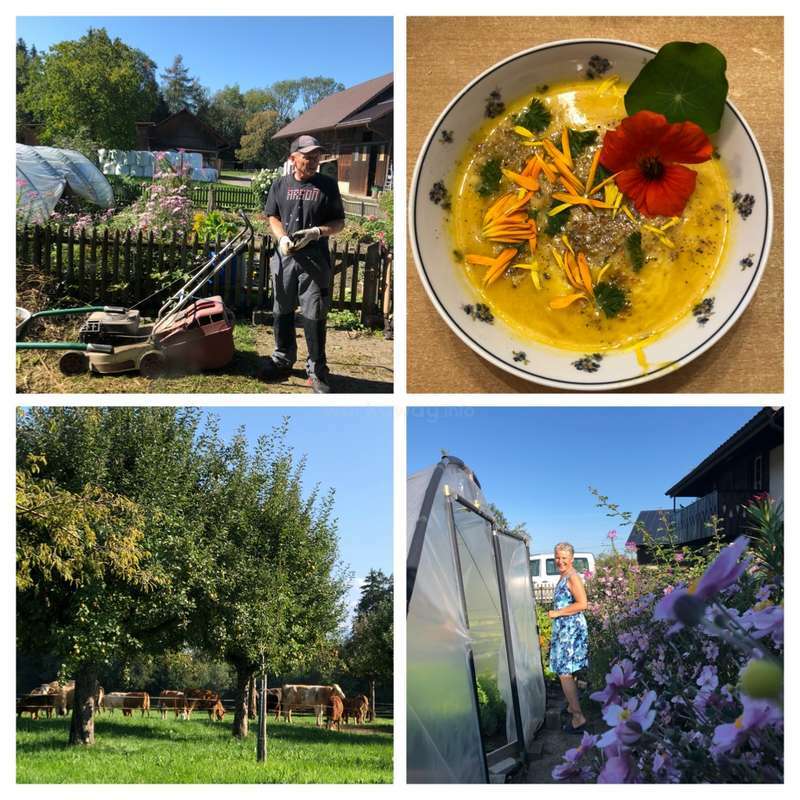 He helped Marcus at the farm and with the cows, prepared our garden, sowed seeds, helped me prepare a banquet for a group of farmers and even prepared a very healthy and delicious pesto and… read more humus dish. And he plays the piano too!! All the tasks were completed efficiently and to the best standard possible that we are so grateful. He is so active and sporty, he even cycled to Zurich and back (I wish we have his energy! ), explored the lakes and hills when he's off. He's a very quick learner, very mature and responsible and always keen to learn more. He brought a lot of good energy to the farm and our home and we will always remember him when we think of spring! A fantastic helper and we highly recommend him to anyone. Toni and Greg arrived autumn last year when there was much work to be done. They were such quick learners, with lots energy, flexible with a great attitude towards all the tasks and sense of responsibility that we achieved a lot together whether it was cooking, gardening or looking after the farm and the cows. We will always remember the stories… read more we shared, the fun meals together, the laughter and joy they brought to our home. We are forever grateful for their help and highly recommend them to any host! We wish them all the best and sending them our sincere thanks for their help and company. Thank you, Anna and Marcus, for welcoming us into your home. You fed us with such healthy food we have never felt better. We particularly enjoyed the salads and salad dressing and the beef was the best we have eaten. We enjoyed seeing how you make the most of all the wholesome food available to you - even the pumpkin seeds! The work was easy and… read more straight forward. Greg enjoyed his time working outside helping Marcus on the farm. Toni had a good mix of outdoor tasks and helping in the kitchen. The first day there we painted the kitchen. The surroundings are beautiful with a village about 15mins walk away and the train about 25 minutes walk away. We had several trips into Zurich on our days off and walks in the nearby hills. 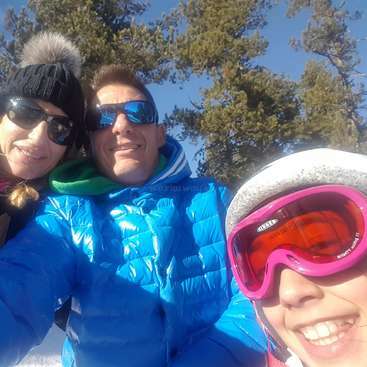 It was a pleasure to have Rita stay with us. She is a happy person, precise, well organised and always on time. There was lots of laughter while Rita was in the house. Rita was interested in our lifestyle and keen to learn. She enjoyed the farm, learning about healthy cooking and starting a garden. She completed any jobs we gave her. She had very… read more good attention to detail and was a very quick learner with a great memory. Hence, she was the winner when playing new board and card games. We would recommend Rita to anyone looking for a sunny, interested person to help them. There are no words to describe how happy and grateful I am for have had the opportunity to live with this lovely family for 10 days. After the first day it was like I’d been knowing them for ages. I felt part of the family and at home. Markus is a true gentle man, a very dedicated farmer and husband, who has the right values and a good heart.… read more He’s still learning english, but his big smile is his best communication tool. Anna is such a sweet and kind person, who is always laughing and looking at everything through an optimistic and positive prisma. 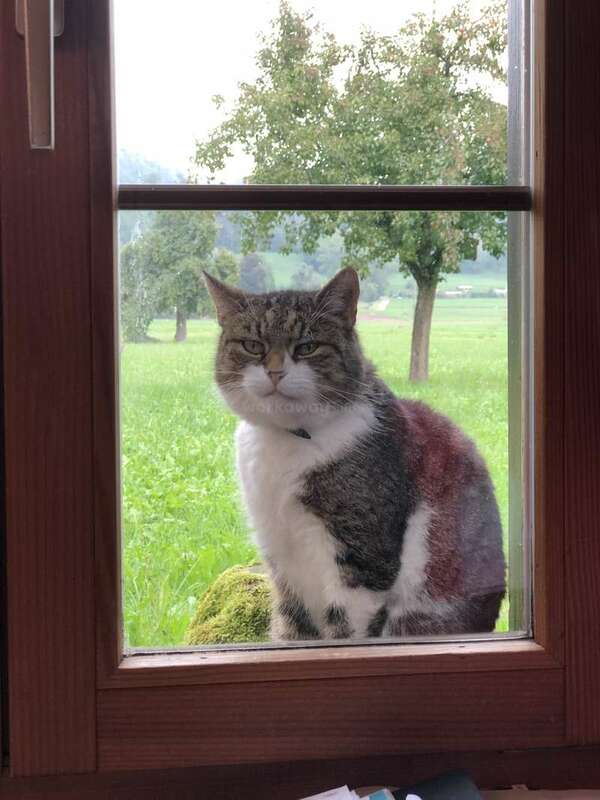 I spent most of my time together with her, either in the kitchen, either in the garden. I had the chance to learn many new skills: doing homemade jam and salad dressing, baking bread, pizza and pies, making apple crisps, sprouting, etc… She’s a very experienced gardener and patience is one of her qualities… even though I was like a curious child all the time, she always tried to answer all my “garden for dummies” questions and helped me a lot with my own garden planning. As we share so many interests and we’re both so openminded, our constant conversations were never ending! We just couldn’t stop it! And being someone who knows a lot about healthy living, she made me gain a whole new perspective about medicine, which might have changed completely my future career… I will be forever thankful for that! I must also refer that I had the best and healthiest gastronomic experience ever! So many colours, vitamins and beauty in every single plate! I got to know new veggies and new flavours that I intent, for sure, to use in my regular diet at home. Finally, the surroundings were also a great plus. Their farm, the forest and all the landscapes were amazingly beautiful. On sunday morning, we climbed together until the closest mountain top and the view was absolutely stunning. 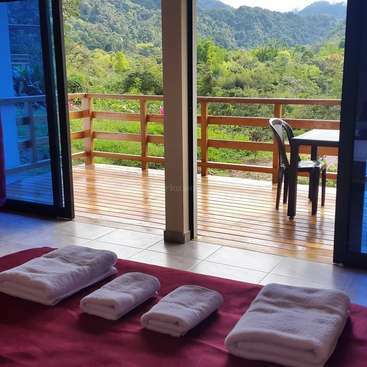 I couldn’t have chosen a best host for my first workaway experience! I can't thank you enough but I can say I will keep you in my heart… and don’t forget that you will always have a place waiting for you in Portugal! Eve is a calm person who fitted in well on our small farm. She brought laughter and joy into our home and shared information about her home country New Zealand. She really enjoyed our cats. Eve was a quick learner and completed all the tasks she was given to a high standard. 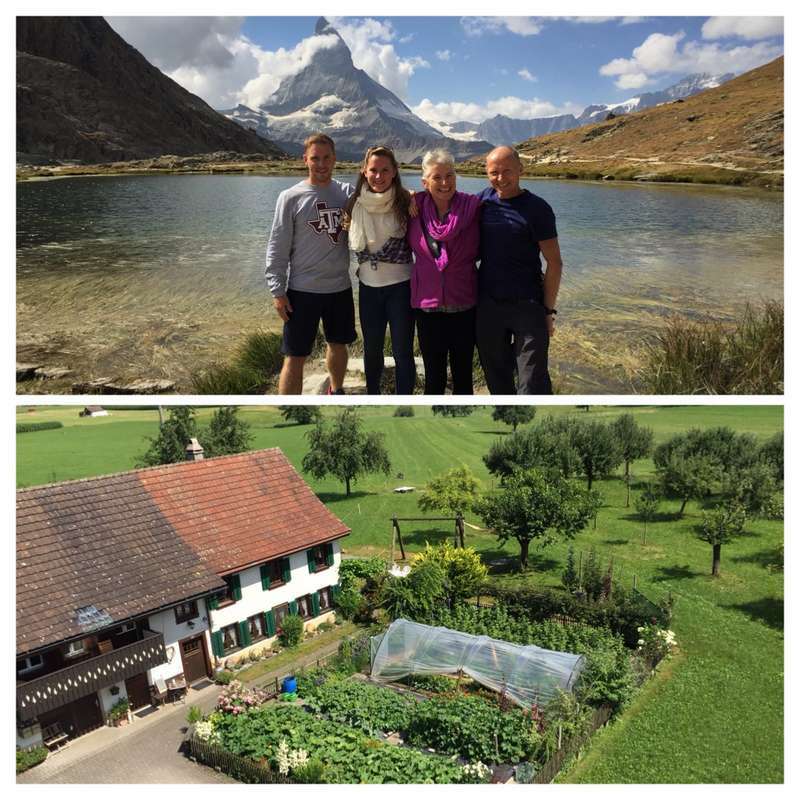 Eve made the most of Switzerland’s landscape, spending time hiking and… read more being outside. We would recommend Eve to anyone looking for a good worker to help them. Wow, what amaxing people Anna and Marcus are! I stayed with them for just over a week and there was a lot of laughter and fun over that time! They’ve got a really warm, welcoming and comfortable home that is just the perfect farm house. Both Anna and Marcus are lovely, gentle, caring people and I felt comfortable with them straight away. 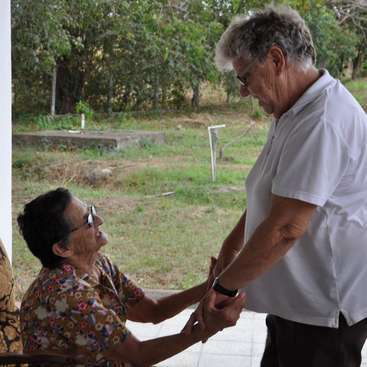 They were… read more keen to share there knowledge about the area and make sure I saw as much of it as possible. I learnt new skills from Anna in terms of cooking, baking and general advice around farming and gardening - she is a fountain of information and an amazing cook, we had some extremely tasty meals while I was there. The cats were just lovely and super friendly. The scenery around the farm is unreal, with lots of beautiful walks close by. I couldn’t get enough of the outdoors there. An amazing workaway position and would highly recommend spending time with Anna and Marcus, you’ll love it! If there’s one thing that I did a lot during my time with Anna and Markus, it was laughing! 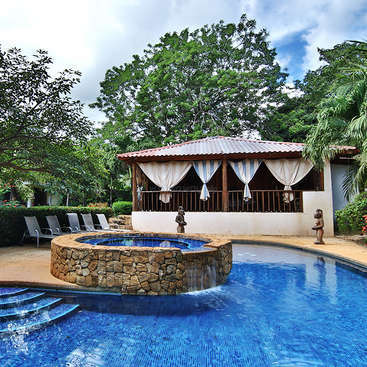 This was their first Workaway experience but they approached it like pros. The work was never hard and Anna made sure that I do a variety of tasks to keep it fresh. One of my first tasks was to pick up apples that have fallen on the ground and sort out… read more the good from the bad. The good ones get fed to the cows. This was followed by picking raspberries and blackberries from the garden and then helping Anna prepare our lunch. Anna wanted me to have a real Swiss experience so I helped her prepare rosti with raclette! That’s melted cheese on top of fried grated potatoes (I can eat it everyday!) served with fresh vegetables hand-picked from her garden with homemade salad dressing and eggs from the neighbours. It was raining the following day so we stayed indoors and spent the morning baking bread, preparing plums (cutting and deseeding them to freeze) and make apple and pear crisps. Other tasks included weeding, clearing the vegetable/herb garden to get ready for winter and painting the shed door. I can hardly call any of them work! I was so lucky with the weather as it was almost sunny everyday so I spent the afternoons sunbathing or doing yoga in the garden or just taking naps under the plum tree. Sometimes I would go for a walk with Anna and she will be telling me about all the Latin names of the trees and flowers. So interesting! You will learn a lot from her! She even took me for a drive to the mountains on my second day where there is an amazing view of Lake Zurich and the surrounding villages. I had a lovely, quiet room upstairs with a very comfortable bed. It has a desk lamp which is great for reading at night. The house is very spacious but cosy and I spent a lot of time in the kitchen as it always smells great from freshly baked bread or what Anna is cooking. We always eat together in the garden under a cherry tree which was so charming. The vegetables are all from the garden or from the neighbours who also grow them on their own. Sometimes we will have meat and they are all from local producers or the beef that they raised in the farm. They are very much into healthy eating and Anna makes her own yoghurt, mills her own flour and makes her own muesli. I’ve never felt healthier! I’m so glad that I found them as I not only learned about farm life but I also learned a lot about real life. Anna and Markus inspired me in many ways, their dedication to each other, their dedication to the farm and their philosophy in life. You have to be there to know what I mean. So if you’re looking for a special place in Switzerland, I urge you to message Anna and Markus. You will thank me for it!